Order in the next 5 hours 33 minutes for delivery on Monday, April 29. Total Carat Weight – 7 ct. tw. 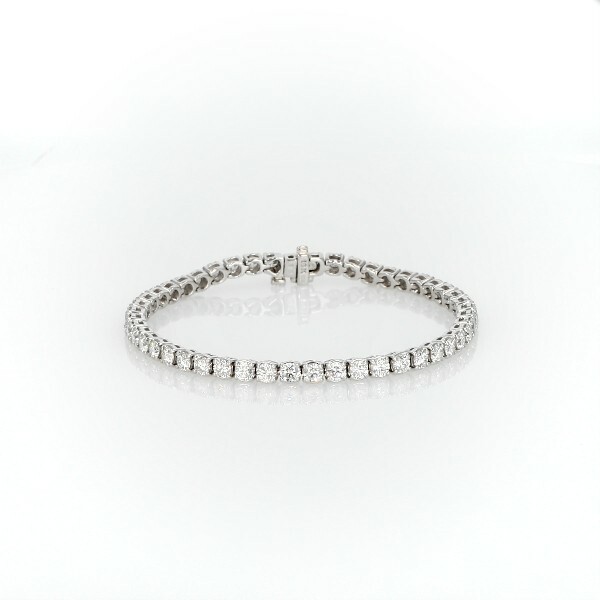 Showcase your style brilliance with a classic piece of jewelry, the eye-catching tennis bracelet. An array of forty-eight dazzling round diamonds is set in rhodium-coated 18k white gold for sparkle all around.